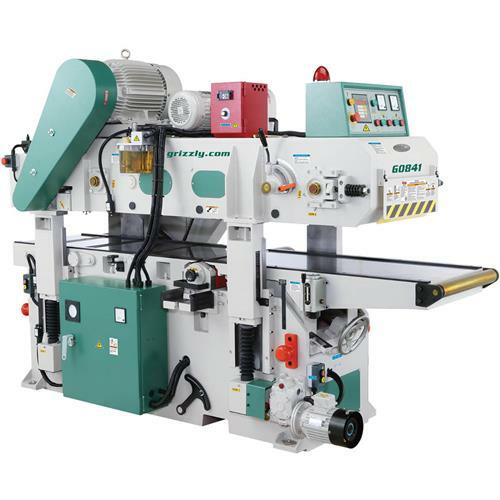 With one look at the G0841 you will know it is ready for some serious production work. 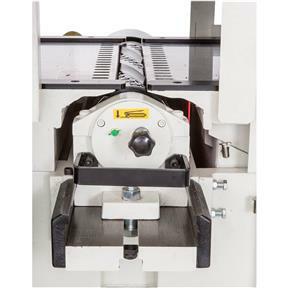 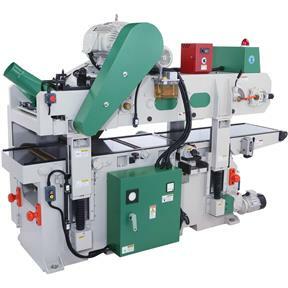 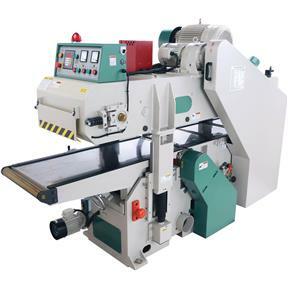 This machine features a 15 HP upper motor with a 10 HP lower motor driving two spiral cutterheads to plane a workpiece in a single pass. 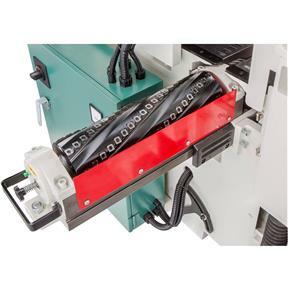 The variable-speed feed belt provides adjustable top pressure to tackle heavy cuts with rough-sawn lumber. 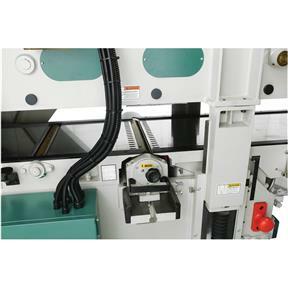 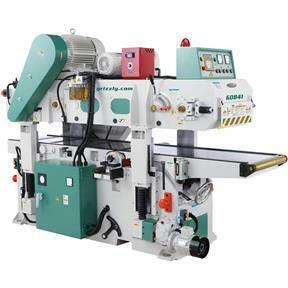 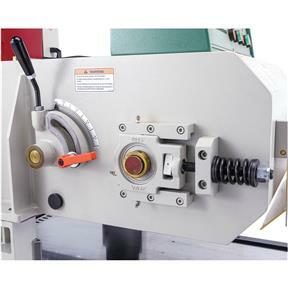 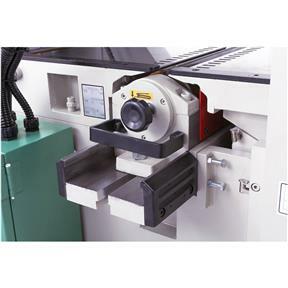 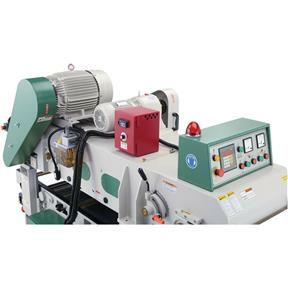 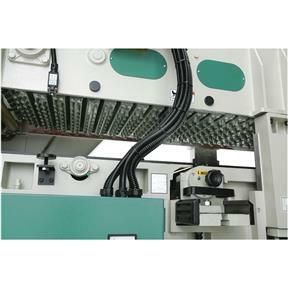 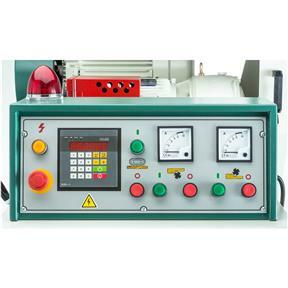 Simply enter the desired thickness of the finished workpiece on the digital control screen, and the machine self-adjusts with the push of a button. 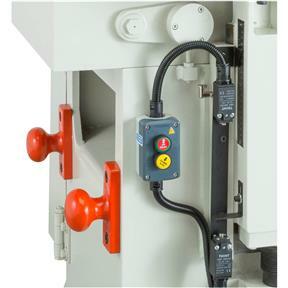 Also equipped with height controls at both ends, providing complete operator control. 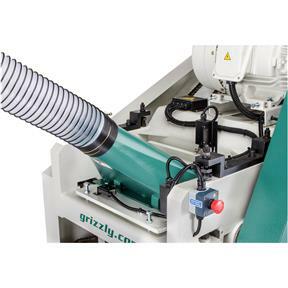 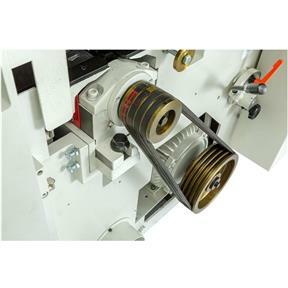 Maintenance is made simple with a self-lubricating feed belt and an easily serviceable "slide out" cutterhead. 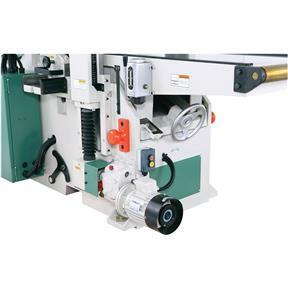 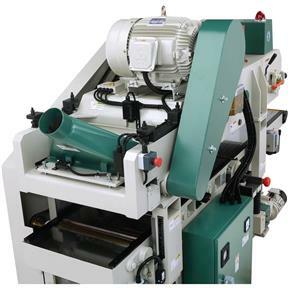 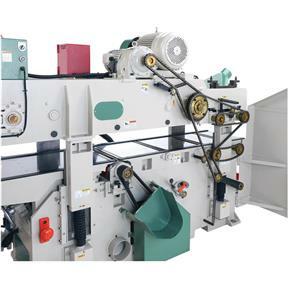 Add this machine to your shop and take your production capacity to an entirely new level! 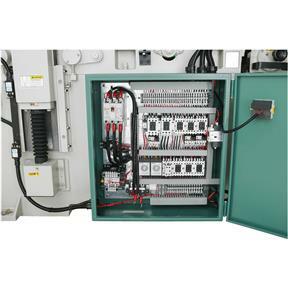 Table size: 18" x 102"
Approximate shipping weight: 6614 lbs.